Li Beirut - Jumeirah At Etihad Towers, Abu Dhabi. Hummus. Tabouleh. Fatoush. Baba ghanoush. The grills. Baklava. Mamoul. Kunaffa. I know that my evening will include these dishes, all typically Lebanese. I know what to expect as I am greeted by the hostess and then Mohammed, the assistant manager and shown to my seat. First impressions. They get how valuable it is to engage the guest the moment he or she walks through that door. Nice. Li Beirut is sumptuous. The gorgeous floor to ceiling windows offer a clear view of the water outside. The parquet floors create warmth. The restaurant is all elegance. Crisp white table cloths are balanced with reds and maroons. 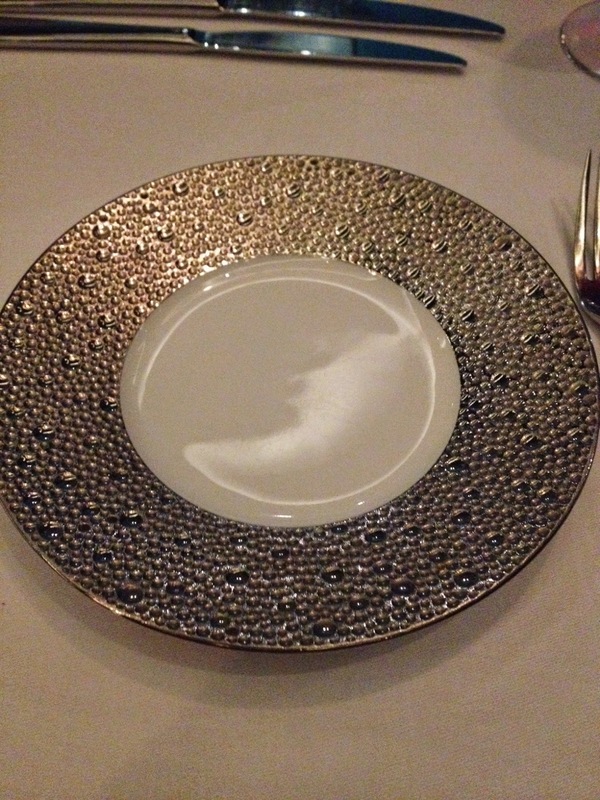 Exquisite china and cutlery. Everything is very tastefully done. Nothing gaudy or kitschy here. I am handed the elegantly presented menu in black with simple gold script on the cover. Stylish. I am also given an ipad with the wine list. That moment there served as an early indicator of what Li Beirut is all about. My waiter for the night is Marlon. While he is the head waiter, and one expects a certain level of excellence, I am still overwhelmed by just how good he is. Well spoken, warm and sincere with a wine knowledge to be envied. What is more, he appreciates the importance of serving with style and finesse. The beauty of interacting with him, though, is that there is nothing pretentious or pompous about him. He simply takes a great deal of pride in what he does. I am initiated into my evening by being served an amuse bouche of felafel, but in a fresh and contemporary way that immediately reflects the restaurant's philosophy. 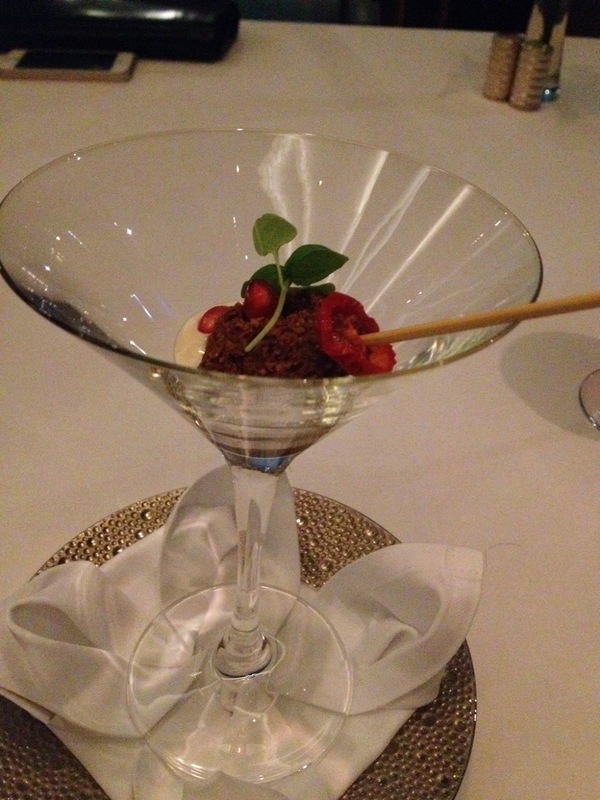 It is served in a martini glass on a bed of tahini sauce and pomegranate reduction to provide that bit of zest, sundried tomato and cres. The falafel is cooked to perfection - crispy on the outside but moist and tender on the inside - A sensational start to the evening. I am served a tasting platter of cold mezze, as is tradition in a Lebanese restaurant. As it is placed before me, I stare in awe at it, while Sous Chef Mahmoud contextualises the dish for me. On my tasting plate I have hummus, balik salmon, muhammara and a fatoush basket. The muhammara is a deliciously spicy hot pepper dip that has a lovely deep red hue making for a visually striking dish. The fatoush basket is to die for. Small and packed with zip. Levels of flavour, topped by the mint. I cannot believe how tasty it is. Next, the balik salmon lives up to its reputation as being probably the best smoked salmon in the world. Texturally so lovely. Finally, the hummus has just the right consistency to complete an exceptional cold mezze platter. Meanwhile, my wine pairing with a Ksara Blanc de Blancs 2012 hits the right note. This blended wine of sauvignon blanc, semillon and chardonnay which I started with as my aperitif was so nice that I just continued with it for my starters, provides the light body I was looking for not to overpower my mezze and what was wo follow. The next starter has to be tasted to be believed - the yellowfin tuna. 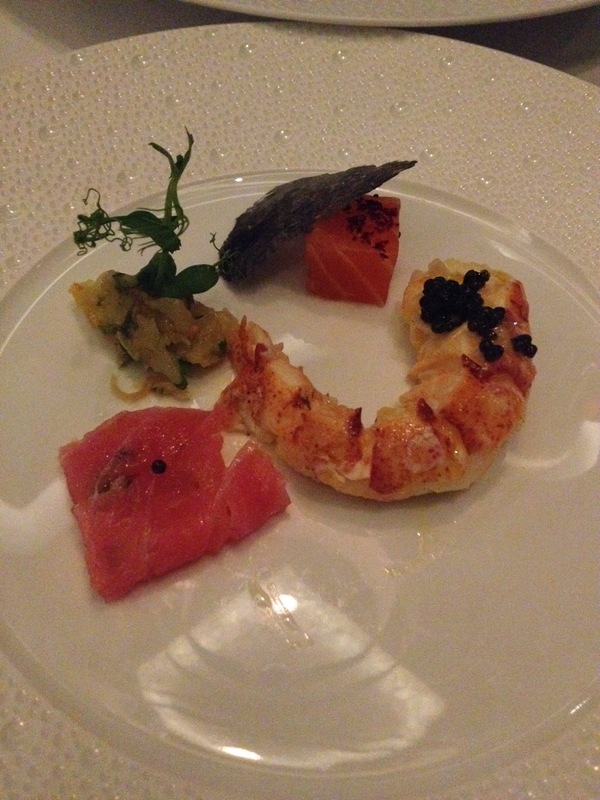 The dish is served with a layer of yellowfin tuna carpaccio with Atlantic lobster and French caviar. On the side, and this made me fall in love with this restaurant, is the baba ganouj. 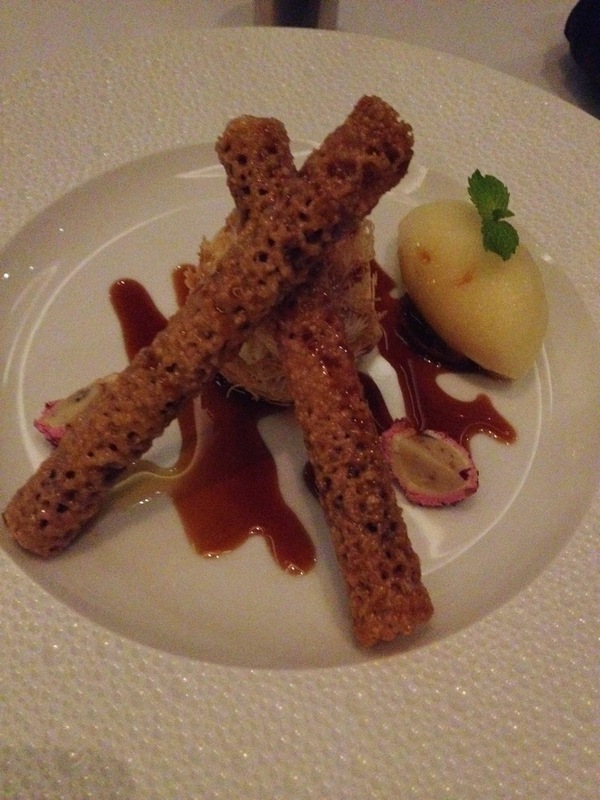 True to its vision of innovating while respecting tradition, this is a wonderful dish. Every ingredient on the plate is carefully chosen to realise that vision. 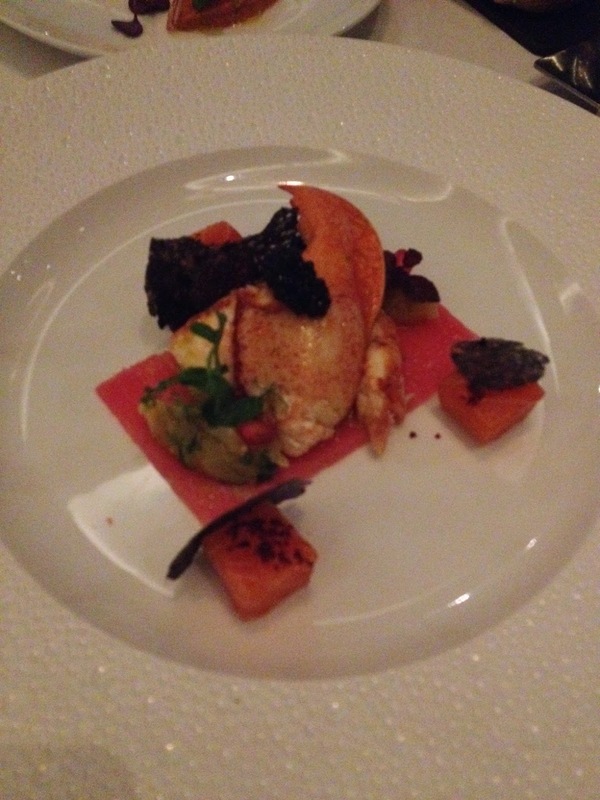 The lobster, steamed 10 minutes before plating up, is imbued with a natural richness and can be enjoyed on its own, but in one scoop I try a bit of the caviar, yellowfin carpaccio, lobster and of course the baba ghanouj - subtle, salty, ocean with the familiar baba ganouj taste is delectable. Next I am excited as my hot mezze is brought. 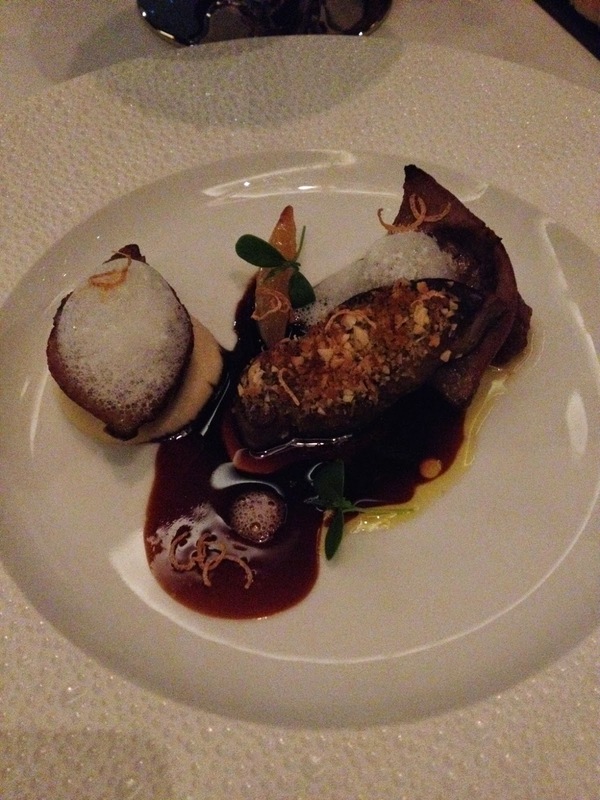 This is a dish I had been anticipating all day - the foie gras kebbeh. It is served with port wine reduction, caramelised pear and walnut chutney. As fantastic as the cold mezze was, this is my dish of the day up to this point. Different levels of sweetness make the foie gras really enjoyable, and the combination with the Lebanese favourite of kebbeh, again accentuates the fusion idea. 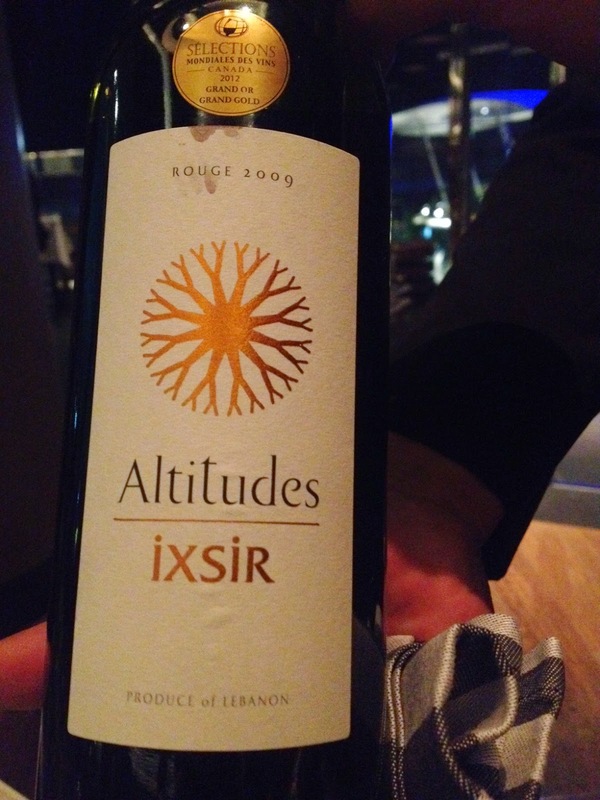 My wine, an IXSIR Altitudes 2009 has a beautiful deep colour from the blend of Cabernet Sauvignon, Syrah, Caladoc and Tempranillo grapes with hints of blacberries. A memorable starter. 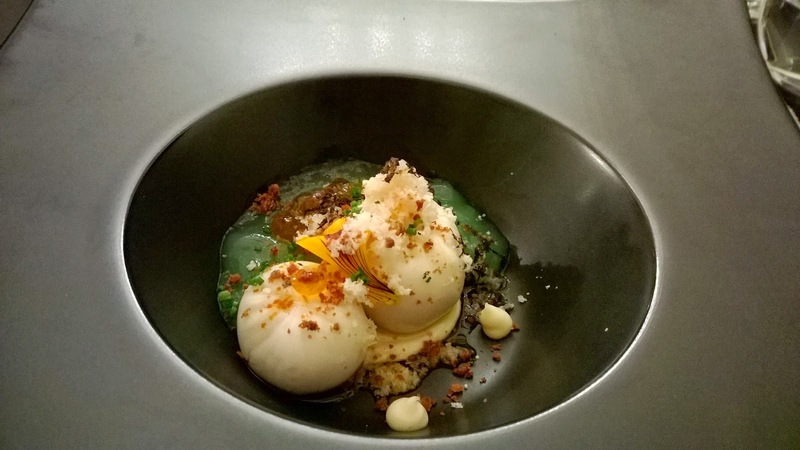 As I sip on my wine, it occurs to me that Chef has created something truly magical, unique and a definite conversation piece. My thoughts are interrupted as i watch the assistant manager, Mohammed engage with his guests. he does it so sincerely and without effort in a way that belies his young age of 23. When he comes to my table I comment on the hospitality in the restaurant and he says something that will stay with me all night. He says, "Hospitality is not created in hotels. It is created in homes". I like it - the notion that the spirit of service is something that he learned at his home and is therefore heartfelt and not training manual driven. What an impression he makes. The wine did Lebanon proud. 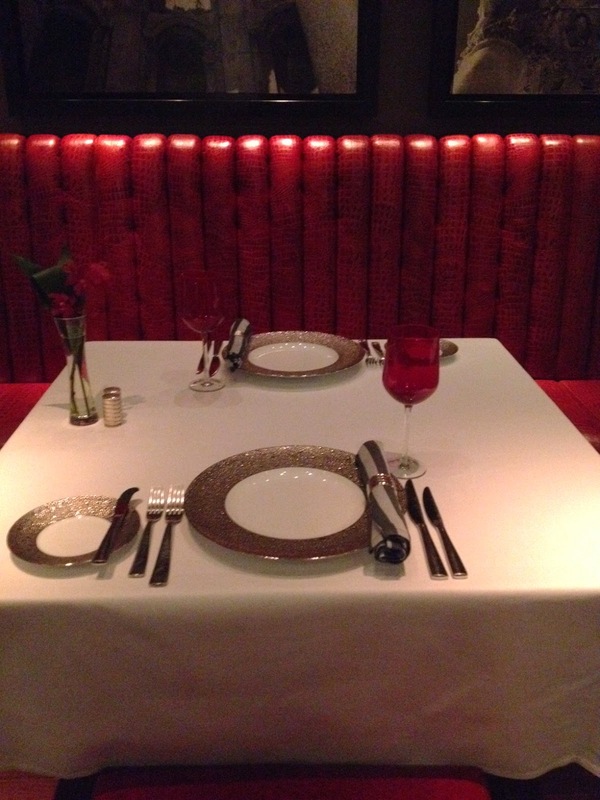 As I await my main course, I look around the restaurant and can't help but notice the intimacy level. With a seating capacity of around 56, it is easy to see where the feeling of intimacy comes from. These thoughts are happily interrupted as my mains are brought. Fittingly, it is again tradition meets creativity and innovation. Zaatar crusted rack of lamb. I have the Arabic mixed grill made up of classics: lahem meshwi, shish taouk and riyash which is served with a simple tomato and onion based sauce. This is made the traditional way and it dawns on me that the menu really has something for everyone with an interest in Lebanese food. If is very traditional interpretation that you want, the menu caters for you. 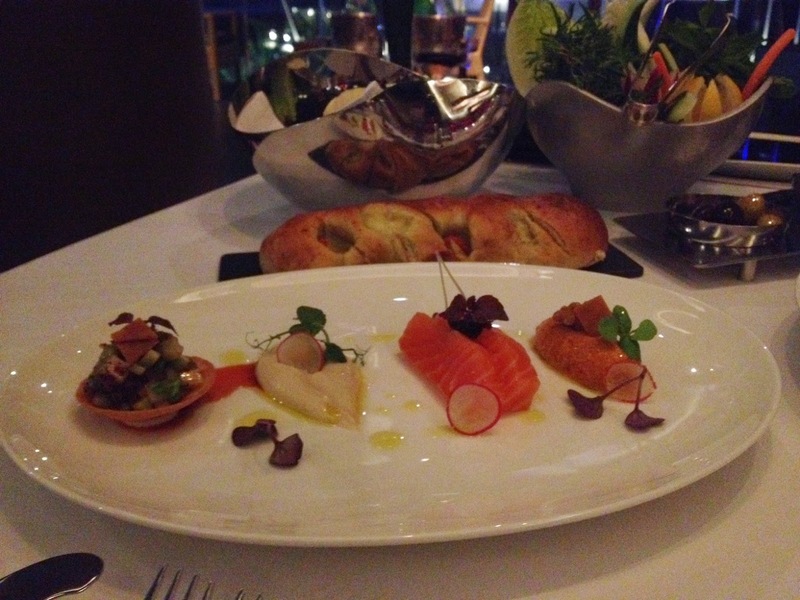 If you are intrigued by a fusion approach, then the chef's selection on the menu is for you. I like this, but I save myself for the other main - the zaatar crusted rack of lamb. It does not disappoint. The parsnip purée, tomato jam and shaved black truffle make this a magnifcent dish. 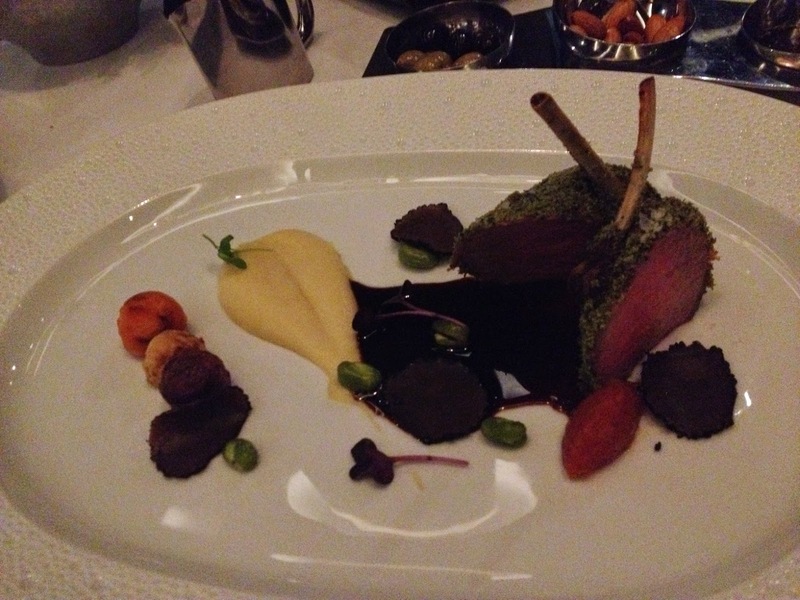 Theatricality is not far away, as the chef pours the lamb jus on the lamb. It is, simply, a perfect dish. The service is really slick. I watch Marlon as he changes plates and cutlery, tops up water and engages in meaningful conversation, but at no point does he overstay. What a waiter! Soon dessert is served. I have the apricot rice pudding and also the honey fudge. I am usually disciplined and try small small portions of dessert, but tonight is all about indulgence. The raspberries serve to balance the sweetness from the apricot compote, and all of this is held together by the rose flavored rice pudding. Of course, the pistachios add that bit of bit crunch. Marvelous. Rice pudding with apricot compote. 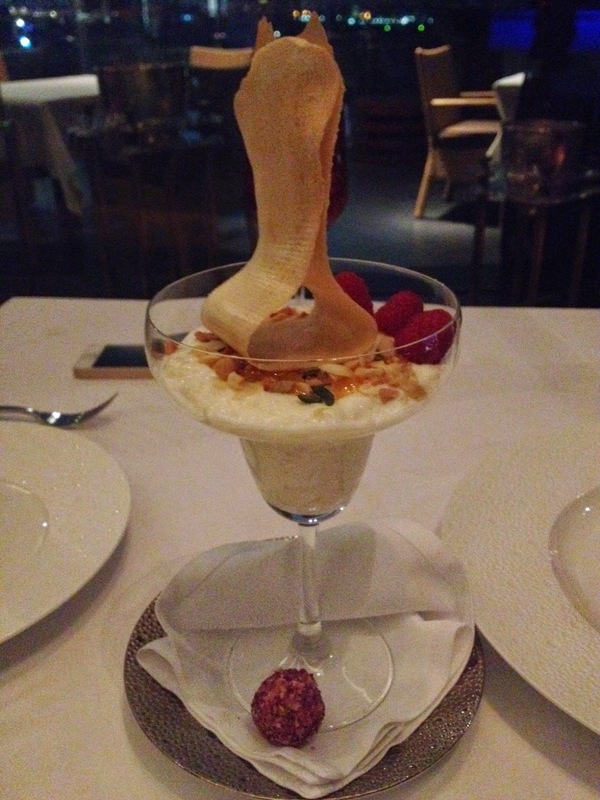 Finally, there was another creative twist on a cornerstone of Lebanese dessert, kunaffa. The kushta cream on the slightly crispy kunaffa and the honey caramel cigar already gives you a fascinating take on serving kunaffa, but then there is also lemon olive oil sorbet. Oh the volcanic taste eruption is immense. It runs deeper than the usual sweet and sour. There are variations in-between. Wow. I can think of no other word. At the end of dinner I was quite exhausted. 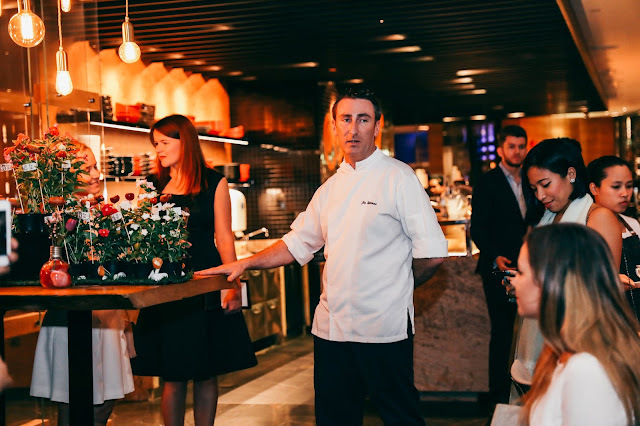 I have had a number of experiences in the last year where I felt an emotional connection to a restaurant. This was one of them. Sous Chef Mahmoud who prepared my dishes, created dishes that celebrated Lebanon. He captured the vibrancy and joie de vive of Lebanon by using influences and ingredients from France, Japan, Canada, Australia, Turkey the rest of the Middle East and other countries. This is reflected in the menu. The menu and the ipad containing the wine list has obvious significance - it shows a restaurant as at ease with the past as it is with the future. Secondly, the service team, superbly lead by Mohammed and epitomised by Marlon, were able to demythologise the high-end dining experience by actively engaging with guests in a sincere manner, in which conversation surpassed the usual meaningless banter that is often exchanged with guests. It was a night when I again revelled in just being alive, being able to taste, see, feel and hear - there are those restaurants that simply beautifully assault all the senses ...Li Beirut is one of them. 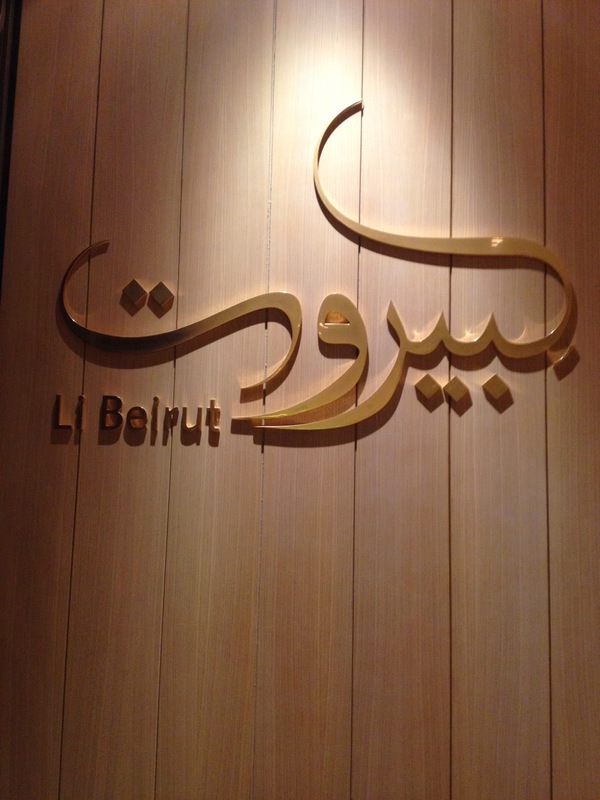 Li Beirut is an incredibly special restaurant where a respect for the past meets with a chef's vision of the future. I appreciated the respect with which the tradition f Lebanese cuisine was treated, and equally enamoured of creations which showcased lebanese food by creating some deliciously inspiring fusion cuisine. Friday Brunch - Sofitel Corniche, Abu Dhabi.